Although it is a personal preference, there is a cost benefit factor in choosing ink bottles over ink cartridges for your fountain pen. According to research done by Noodler’s a 4.5 oz bottle of their ink has the amount of ink equal to $72.94 worth of the least costly retail ink cartridges in the world. In addition, Noodler’s Ink has a reputation for being good quality, is safe for all fountain pens and comes in a wide range of colors. Using bottled ink when you can makes sense – it is easier on the environment and it is by far a much better deal than ink cartridges. Bottled fountain pen inks can be used in any fountain pen having a converter, piston-fill, or other reservoir system. Start by lowering your fountain pen nib into the ink bottle. Depending on the model you have, you can either draw up ink by screwing or pulling the converter. Remove the nib and don't forget to wipe it with a lint-free cloth. Question: What are the advantages of using Noodler’s Polar Black and Polar Blue ink? 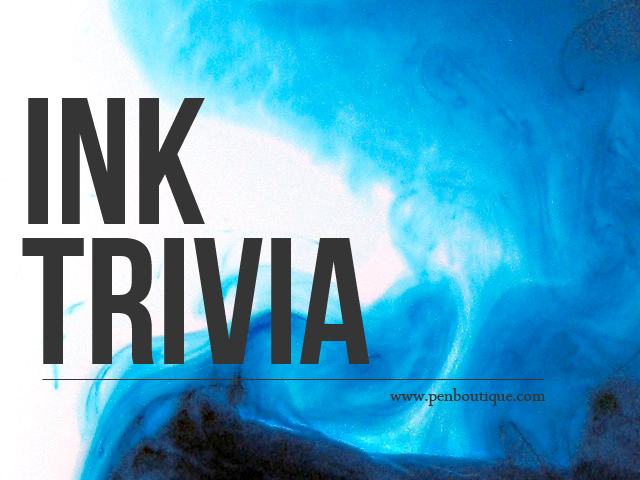 Answer: “Freeze Resistant Inks” include Polar Blue and Polar Black, which will resist forming a solid mass of ice within a glass ink bottle during most cold weather conditions (though they will form some harmless ice “slush” when very cold). The first “Polar” ink was “freeze proof” to -114° F, but the reformulated Polar inks made from 2006 and later have a faster dry time, better flow rate, and are basic “freeze resisting” inks to avoid expansion.